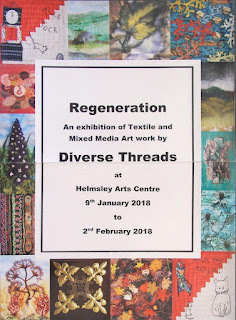 Here are the details for the latest Diverse Threads exhibition at Helmsley Arts Centre. 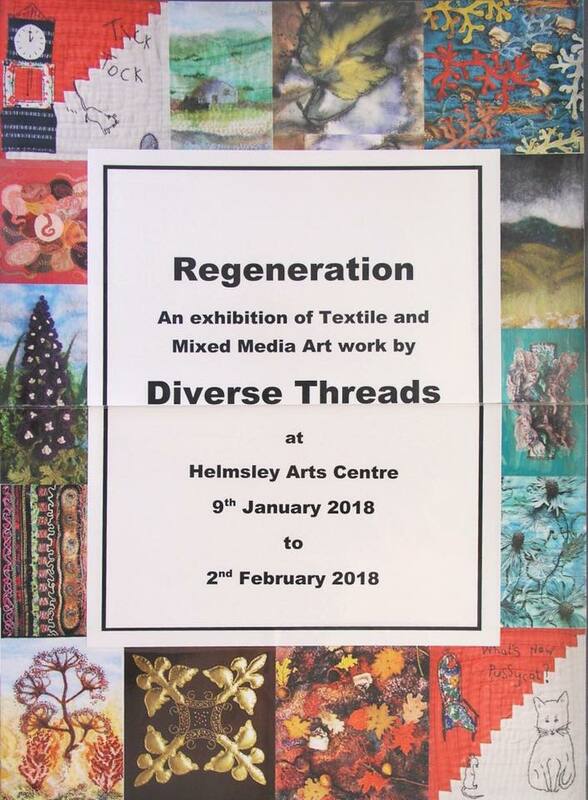 The exhibition runs from Tues 9th January-Fri 2nd February 2018. Two members of the group will be there on each Sunday. Helmsley is a great place to visit with lots of lovely independent shops and coffee stops!